UK electric shock signs A5danger electric shock risk uwaga ryzy self adhesive vinyl labels. UK electric shock signs - A5 danger electric shock risk uwaga ryzy self adhesive vinyl labels. UK electric shock signs A5danger electric shock risk uwaga ryzy 1.2 mm rigid plastic signs. UK electric shock signs - A5 danger electric shock risk uwaga ryzy 1.2 mm rigid plastic signs. UK electric shock signs 400 x 300 mm danger electric shock risk uwaga self adhesive vinyl labels. UK electric shock signs - 400 x 300 mm danger electric shock risk uwaga self adhesive vinyl labels. UK electric shock signs A4 danger electric shock risk uwaga ryzy self adhesive vinyl labels. UK electric shock signs - A4 danger electric shock risk uwaga ryzy self adhesive vinyl labels. 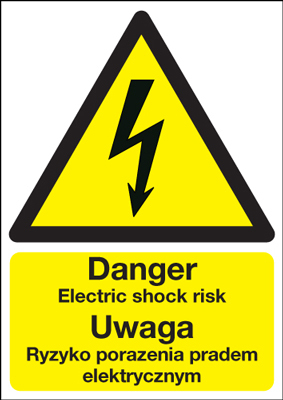 UK electric shock signs A3 danger electric shock risk uwaga ryzy self adhesive vinyl labels. UK electric shock signs - A3 danger electric shock risk uwaga ryzy self adhesive vinyl labels. UK electric shock signs 400 x 300 mm danger electric shock risk uwaga 1.2 mm rigid plastic signs. UK electric shock signs - 400 x 300 mm danger electric shock risk uwaga 1.2 mm rigid plastic signs. UK electric shock signs A4 danger electric shock risk uwaga ryzy 1.2 mm rigid plastic signs. UK electric shock signs - A4 danger electric shock risk uwaga ryzy 1.2 mm rigid plastic signs. UK electric shock signs A3 danger electric shock risk uwaga ryzy 1.2 mm rigid plastic signs. UK electric shock signs - A3 danger electric shock risk uwaga ryzy 1.2 mm rigid plastic signs. UK electric shock signs 400 x 300 mm danger electric shock risk uwaga 1.2 mm rigid plastic signs with s/a backing. UK electric shock signs - 400 x 300 mm danger electric shock risk uwaga 1.2 mm rigid plastic signs with self adhesive backing. UK electric shock signs 70 x 50 Caution risk of electric shock self adhesive vinyl labels. UK electric shock signs - 70 x 50 caution risk of electric shock self adhesive vinyl labels. UK electric shock signs 70 x 50 Caution risk of electric shock 1.2 mm rigid plastic signs. UK electric shock signs - 70 x 50 caution risk of electric shock 1.2 mm rigid plastic signs. UK electric shock signs A5caution risk of electric shock self adhesive vinyl labels. UK electric shock signs - A5 caution risk of electric shock self adhesive vinyl labels. UK electric shock signs 175 x 125 mm Caution risk of electric shock self adhesive vinyl labels. 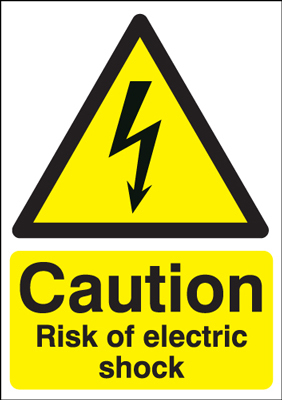 UK electric shock signs - 175 x 125 mm caution risk of electric shock self adhesive vinyl labels. UK electric shock signs 175 x 125 mm Caution risk of electric shock 1.2 mm rigid plastic signs. UK electric shock signs - 175 x 125 mm caution risk of electric shock 1.2 mm rigid plastic signs. UK electric shock signs 70 x 50 Caution risk of electric shock 1.2 mm rigid plastic signs with s/a backing. UK electric shock signs - 70 x 50 caution risk of electric shock 1.2 mm rigid plastic signs with self adhesive backing. UK electric shock signs A5caution risk of electric shock 1.2 mm rigid plastic signs. UK electric shock signs - A5 caution risk of electric shock 1.2 mm rigid plastic signs. UK electric shock signs 350 x 250 mm Caution risk of electric shock self adhesive vinyl labels. UK electric shock signs - 350 x 250 mm caution risk of electric shock self adhesive vinyl labels. UK electric shock signs A4 Caution risk of electric shock self adhesive vinyl labels. UK electric shock signs - A4 caution risk of electric shock self adhesive vinyl labels. UK electric shock signs A3 Caution risk of electric shock self adhesive vinyl labels. UK electric shock signs - A3 caution risk of electric shock self adhesive vinyl labels. UK electric shock signs 175 x 125 mm Caution risk of electric shock 1.2 mm rigid plastic signs with s/a backing. UK electric shock signs - 175 x 125 mm caution risk of electric shock 1.2 mm rigid plastic signs with self adhesive backing. UK electric shock signs 350 x 250 mm Caution risk of electric shock 1.2 mm rigid plastic signs. UK electric shock signs - 350 x 250 mm caution risk of electric shock 1.2 mm rigid plastic signs. UK electric shock signs A4 Caution risk of electric shock 1.2 mm rigid plastic signs. UK electric shock signs - A4 caution risk of electric shock 1.2 mm rigid plastic signs. UK electric shock signs A3 Caution risk of electric shock 1.2 mm rigid plastic signs. UK electric shock signs - A3 caution risk of electric shock 1.2 mm rigid plastic signs. UK electric shock signs A5caution risk of electric shock 1.2 mm rigid plastic signs with s/a backing. UK electric shock signs - A5 caution risk of electric shock 1.2 mm rigid plastic signs with self adhesive backing. 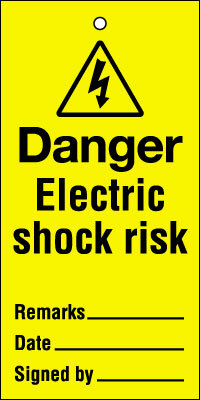 UK electric shock signs A2 420 x 598 mm Caution risk of electric shock self adhesive vinyl labels. UK electric shock signs - A2 caution risk of electric shock self adhesive vinyl labels. UK electric shock signs A1 Caution risk of electric shock self adhesive vinyl labels. UK electric shock signs - A1 caution risk of electric shock self adhesive vinyl labels. UK electric shock signs A2 420 x 598 mm Caution risk of electric shock 1.2 mm rigid plastic signs. UK electric shock signs - A2 caution risk of electric shock 1.2 mm rigid plastic signs. UK electric shock signs 350 x 250 mm Caution risk of electric shock 1.2 mm rigid plastic signs with s/a backing. UK electric shock signs - 350 x 250 mm caution risk of electric shock 1.2 mm rigid plastic signs with self adhesive backing. UK electric shock signs A1 Caution risk of electric shock 1.2 mm rigid plastic signs. UK electric shock signs - A1 caution risk of electric shock 1.2 mm rigid plastic signs. UK electric shock signs A3 Caution risk of electric shock 1.2 mm rigid plastic signs with s/a backing. UK electric shock signs - A3 caution risk of electric shock 1.2 mm rigid plastic signs with self adhesive backing. UK electric shock signs A2 420 x 598 mm Caution risk of electric shock 1.2 mm rigid plastic signs with s/a backing. UK electric shock signs - A2 caution risk of electric shock 1.2 mm rigid plastic signs with self adhesive backing. UK electric shock signs A1 Caution risk of electric shock 1.2 mm rigid plastic signs with s/a backing. UK electric shock signs - A1 caution risk of electric shock 1.2 mm rigid plastic signs with self adhesive backing. UK electric shock signs A4 Caution risk of electric shock 1.2 mm rigid plastic signs with s/a backing. UK electric shock signs - A4 caution risk of electric shock 1.2 mm rigid plastic signs with self adhesive backing.